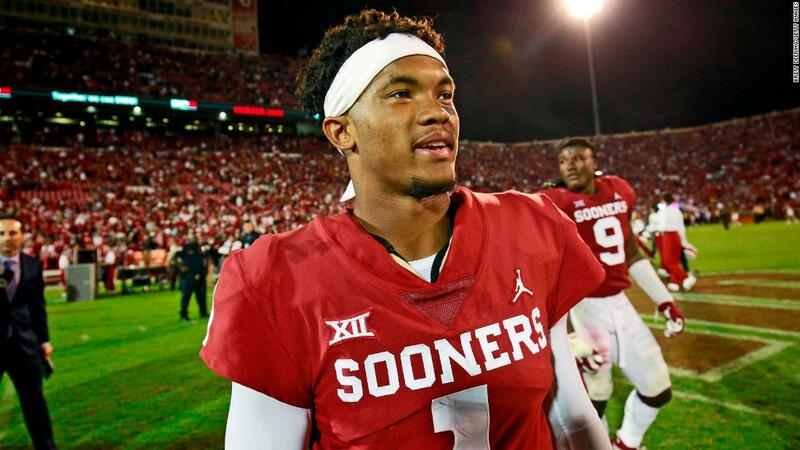 (CNN) Oklahoma quarterback Kyler Murray is the latest in a long line of elite football players to win the Heisman Memorial Trophy. “LETSSSSS GOOOOOO!!!!!! BACK TO BACK” he tweeted. Murray is seventh Sooner to win the Heisman and the 10th to be a finalist, according to Heisman.com. The 5-foot-10, 195-pound quarterback from Allen, Texas, leads the nation in passing efficiency with a rating of 205.72, according to the NCAA. Heisman’s website states that he led Oklahoma to a Big 12 title, a 12-1 overall record and a No. 4 ranking in the College Football Playoff. “Turns out, he knew. Congratulations to the 2018 Heisman Trophy Winner @TheKylerMurray! #KylerKnows,” the tweet read.